Grand Commonwealth Avenue Townhouse centrally located in the heart of Back Bay. An elevator serves all five levels of this meticulously renovated home complete with soaring ceilings, carved accents and crown molding throughout. The Parlor level offers a formal dining room with Comm Ave views, sun-filled breakfast room with balcony, great room, and large open kitchen. One floor above is the front-facing double-width living room, handsome wood paneled library and separate office. Master bedroom suite includes dressing room, large closets and luxurious en suite bath. Four additional bedrooms and separate au-pair suite. Private landscaped garden and spacious roof deck perfect for entertaining. This trophy home is complete with 3 car parking. I have a question about the property at 198 Commonwealth Avenue Boston MA 02116 (#71631661). I would like to schedule a visit for the property at 198 Commonwealth Avenue Boston MA 02116 (#71631661). Fabulous three-bed corner GRAND residence offers 28 floor-to-ceiling windows with 112 linear feet of panoramic southwestern views of the Charles River and Boston Common from the 47th floor of Millennium Tower. Features include 10-foot ceilings, Poggenpohl kitchen and bath cabinetry, Sub-Zero and Wolf appliances with gas cooking, wide-plank oak floors and marble baths. Master suite features his and her bath. Millennium Tower Boston residents will enjoy 5-star services, doorman, 24-hour concierge, plus access to an exclusive two-story Club with dramatic owner's lounge offering private dining and bar, screening room, billiard parlor, library, private function room, outdoor terrace, children's playroom, 75-foot lap pool and the largest residential-only fitness facility in Boston. Adjacent to the renovated historic Burnham Building, Millennium Tower will stand at the center of a reinvigorated downtown Boston, home to vibrant retail, and a new Roche Bros gourmet grocery. I have a question about the property at 1 Franklin Street Boston MA 02110 (#72076153). I would like to schedule a visit for the property at 1 Franklin Street Boston MA 02110 (#72076153). I have a question about the property at 300 Boylston Boston MA 02116 (#72467845). I would like to schedule a visit for the property at 300 Boylston Boston MA 02116 (#72467845). Enjoy Boston's absolute finest luxury living experience at this Four Seasons Penthouse. Originally two units now seamlessly combined into one spacious floor plan, the south-facing Penthouse offers 3 bedrooms and 3 full bathrooms with oversized picture windows throughout. The chef's kitchen is clean and contemporary in design with top-of-the-line appliances. Sun-filled living areas include the open concept living and dining room with fireplace plus adjacent den that can be easily closed off by pocket doors for an additional bedroom. Features include spa-like baths with high-end finishes, in-unit laundry room and large master suite with expansive walk-in closet space. Available to residents are a complete array of exclusive, 5-Star Four Seasons services plus two garage parking spaces and extra storage for this Penthouse. I have a question about the property at 220 Boylston Street Boston MA 02116 (#72348605). I would like to schedule a visit for the property at 220 Boylston Street Boston MA 02116 (#72348605). I have a question about the property at 2 Commonwealth Avenue Boston MA 02116 (#72272533). I would like to schedule a visit for the property at 2 Commonwealth Avenue Boston MA 02116 (#72272533). Exquisite, single family residence impeccably renovated with 6+ bedrooms, 3 full baths and 2 powder rooms, floor to ceiling windows, six marble fireplaces,gracious principal rooms with 12ft ceilings & original period detail. Au pair/in law suite with renovated kitchen, media room w/ 3 glass doors leading out to a large enclosed brick patio w/ shed, electricity and lights.Central A/C.Direct access to 2 full deeded parking spaces. I have a question about the property at 407 Beacon Boston MA 02115 (#71891337). I would like to schedule a visit for the property at 407 Beacon Boston MA 02115 (#71891337). Rare and coveted two bedroom plus den condominium with postcard views of the Boston Public Garden, Boston Common, Financial District and beyond! Only four units with this floor plan exist in the world-class Four Seasons Place. Gallery entry foyer. Palatial 30' corner living room features a fireplace and three large picture windows with breathtaking views of the Parks. Adjacent Four Seasons kitchen with greenhouse-style picture window offering dramatic views into the Swan Pond. Two bedroom suites plus den/potential 3rd bedroom. 2.5 baths. Laundry room. One self-park or valet garage space. Private storage. Professional on-site management. Enjoy services from the AAA Five Diamond, Mobil 5-Star Four Seasons Hotel. Dine at the acclaimed Bristol Lounge. Complimentary health spa, lap pool and sauna/steam. Available services include housekeeping, massage treatments and room service in your home or at the pool. All located at one of Boston's most valuable and coveted addresses. I have a question about the property at 220 Boylston Boston MA 02116 (#71769006). I would like to schedule a visit for the property at 220 Boylston Boston MA 02116 (#71769006). With character, elegance & history, this Classic Mediterranean villa impresses w/out pause. The self-contained perimeter wall offers privacy & a botanical shelter for the thriving grounds. The clay tiled roof captures several sufficient dormers & accented slopes reemphasizing its deep Spanish architectural distinction. Enjoy both the indoor & outdoor pools. Striking Wainscoting, crown moldings, pilaster, archways & coffered ceilings, a persistent colonial theme within. Hand carved mantels, perfectly matched tiger oak pegged flooring, marble floors, sun rooms w/glass french doors and views of private gardens. The multilevel elevator provides 3 floors of access. Entertain in style, pamper yourself with this spectacular 10,867 ft. home residing on over half an acre of land, hosting 20 rooms, 8 bedrooms, 6 full baths & 3 half baths, 9 working FP's and four car garage. Enjoy the convenience & ease of access to Boston & all the Brookline has to offer. I have a question about the property at 166 Fisher Avenue Brookline MA 02445 (#72174259). I would like to schedule a visit for the property at 166 Fisher Avenue Brookline MA 02445 (#72174259). Fabulous Duplex in sought-after Carlton House at Public Garden with 24 hr concierge and SERVICES OF THE "TAJ HOTEL". This great residence has an elegant entry foyer, large living room with floor to ceiling windows and views of the Commonwealth Mall and the Public Garden, formal dining room, large bedrooms and master bath, ample closets. 1 Valet parking space. I have a question about the property at 2 Commonwealth Ave Boston MA 02116 (#X19695380). I would like to schedule a visit for the property at 2 Commonwealth Ave Boston MA 02116 (#X19695380). Luxurious 2 Bed/ 2 Bath on the 48th floor, spectacular views and garage parking At 61 stories, the Four Seasons Private Residences One Dalton Street, Boston will redefine the skyline. Located above Boston’s newest Four Seasons Hotel, the Private Residences at One Dalton will provide the finest in hotel-serviced living. Designed by legendary architect Harry Cobb of Pei Cobb Freed & Partners, One Dalton will be Boston’s new icon for the 21st Century. I have a question about the property at Four Seasons - One Dalton Boston MA 02115 (#X60256953). I would like to schedule a visit for the property at Four Seasons - One Dalton Boston MA 02115 (#X60256953). 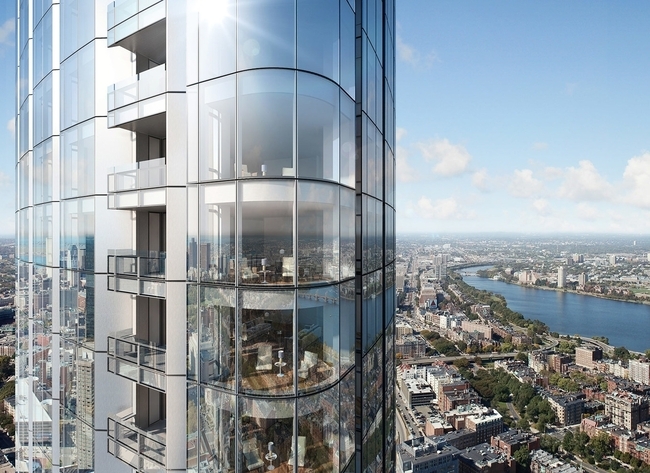 Spectacular Millennium Tower Grand Residences 2BR/2.5BA high floor corner unit with Amazing Sunrise and Sunset views of the Harbor, Charles River, Public Garden, the Park, and Back Bay. Features expansive living room with open style kitchen with Calacatta Marble breakfast bar, high gloss white Poggenpohl cabinets, gas cooking and high end stainless appliances. Spectacular views in every room from floor to ceiling windows and Oak hardwood floors. Large master bedroom suite with Spa style 5 fixture marble bath and walk in closet, Spacious 2nd bedroom with en-suite bath plus custom window treatments and custom closets. Millennium Tower Residences feature 5-star Services, including Concierge, Doormen, Valet Parking, and exclusive two-story Residence only Club with lounge offering private dining, screening room, billiard parlor, library, function room, outdoor terrace, children's playroom, lap pool and spacious state of the art fitness center. Includes 1 valet garage parking space. I have a question about the property at 1 Franklin Street Boston MA 02110 (#72371667). 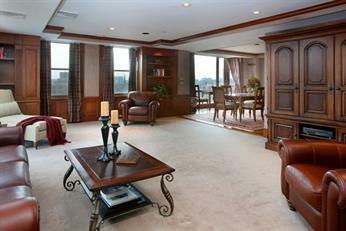 I would like to schedule a visit for the property at 1 Franklin Street Boston MA 02110 (#72371667). Rare front-facing 2BR condominium, just updated, overlooking the Public Garden at the world-class Four Seasons. 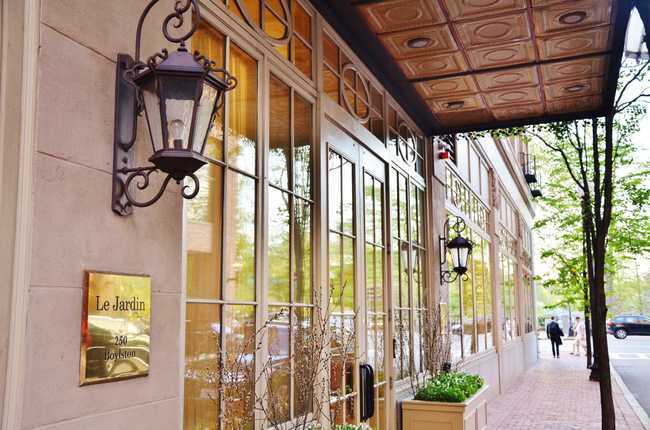 Enjoy a coveted location across from the Boston Public Garden. Classic entry foyer with coffered ceiling and marble floor. 25' living room with hardwood floors, three picture windows and views of the Public Garden, Boston Common and beyond! Four Seasons kitchen with two windows and breakfast bar. Large master bedroom with marble-accented bathroom en-suite and two closets. Second bedroom with adjacent full marble-accented bath. Laundry room with storage and full size W/D. Self-park or valet garage space included. Direct phone line to the concierge and hotel. Includes fitness center and lap pool overlooking the Public Garden. Four Seasons Hotel in-room dining and housekeeping services available. The Four Seasons Hotel is rated AAA Five Diamond and Mobil 5 Star. I have a question about the property at 220 Boylston Boston MA 02116 (#72394794). I would like to schedule a visit for the property at 220 Boylston Boston MA 02116 (#72394794). Boutique luxury building with 24 hour concierge, valet parking and on-site management. This beautiful 3 bed 2.5 bath home is only steps away from the Esplanade at the Charles River and Boston beautiful public gardens, in the heart of the city and traditional Back Bay and Beacon Hill. The elegant formal living room flows over to the dining room in an open concept floor plan. Facing south allows natural sun light to flood in the beautiful gourmet kitchen and dining room. The spacious master bedroom suite features two large custom walk-in closets and en-suite five-piece bathroom. Two additional bedrooms with shared full bath & laundry room complete this designer-quality residence. Hard wood floors, and elegant wall and ceiling molding throughout. 3D virtual tour available! I have a question about the property at 100 Beacon Street Boston MA 02116 (#72125348). I would like to schedule a visit for the property at 100 Beacon Street Boston MA 02116 (#72125348). Rare front-facing 2BR condominium overlooking the Public Garden at the world-class Four Seasons. 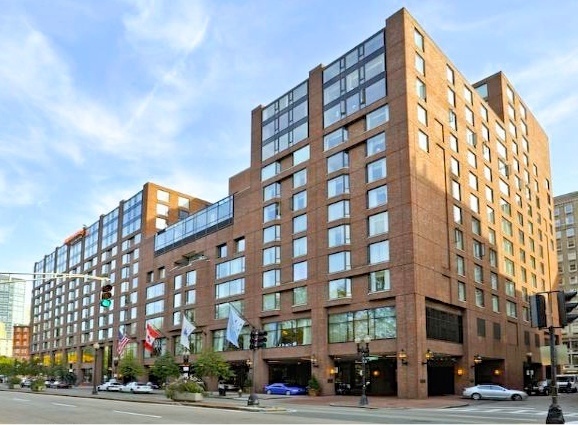 Enjoy a coveted and valuable location across from the Boston Public Garden. Classic entry foyer with coffered ceiling and marble floor. 25' living room with hardwood floors, three picture windows and views of the Public Garden, Boston Common and beyond! Four Seasons kitchen with two windows and breakfast bar. Large master bedroom with marble-accented bathroom en-suite and two closets. Second bedroom with adjacent full marble-accented bath. Laundry room with storage and full size W/D. Self-park or valet garage space included. Direct phone line to the concierge and hotel. Includes health spa with lap pool overlooking the Public Garden and Fitness Center. Four Seasons Hotel in-room dining and housekeeping services available. The Four Seasons Hotel is rated AAA Five Diamond and Mobil 5 Star. The Bristol Lounge and Restaurant can be accessed directly from the condominium lobby. I have a question about the property at 220 Boylston Boston MA 02116 (#72295779). I would like to schedule a visit for the property at 220 Boylston Boston MA 02116 (#72295779). Stunning two-bedroom, corner residence at the legendary Four Seasons. Meticulously renovated and thoughtfully designed, this residence features an exquisite kitchen with custom cabinetry and top-of-the-line appliances, sun-drenched living room with wood-burning fireplace and city views, and master suite with luxurious bath. Other highlights include modern accents throughout, beautiful hardwood floors, abundant closet space, in-residence laundry, additional on-site deeded storage, and one deeded parking space with the option to valet or self-park. Five-star services and amenities from the Four Seasons include 24-hour concierge, doorman, room service, fitness center, indoor pool and spa. I have a question about the property at 220 Boylston Street Boston MA 02116 (#72418364). I would like to schedule a visit for the property at 220 Boylston Street Boston MA 02116 (#72418364). I have a question about the property at 300 Boylston Street Boston MA 02116 (#X64700025). I would like to schedule a visit for the property at 300 Boylston Street Boston MA 02116 (#X64700025). New listing! Stunning, turn-key 2BR condo for sale at the world-class Four Seasons across from the Boston Public Garden. Masterfully renovated two bedroom, two bath residence offers a southern exposure and all the right touches! Classic entry foyer with coffered ceiling. Living room with crown moldings, hardwood floors and wall of glass. Chef's kitchen with leathered marble counters, finely crafted cabinetry and high end appliances. Sumptuous master bedroom suite. Large second bedroom. Gorgeous marble bathrooms. Laundry room with storage and W/D. Self-park or valet garage space included. Furnishings available for sale. Direct phone line to the concierge and hotel. Includes health spa with lap pool overlooking the Public Garden and Fitness Center. Four Seasons Hotel in-room dining and housekeeping services available. The Four Seasons Hotel is rated AAA Five Diamond and Mobil 5 Star. The Bristol Lounge and Restaurant can be accessed directly from the condominium lobby. I have a question about the property at 220 Boylston Boston MA 02116 (#72175931). I would like to schedule a visit for the property at 220 Boylston Boston MA 02116 (#72175931). I have a question about the property at 234 Causeway Boston MA 02114 (#72021692). I would like to schedule a visit for the property at 234 Causeway Boston MA 02114 (#72021692). Exquisite 2-bedroom/2.5-bathroom residence at The Meads, a landmark building designed by McKim, Mead & White and converted into condominiums in 2007. Renovated to exacting standards, this home boasts elevator access and a grand entertainment-sized living room facing the Commonwealth Avenue Mall with tall ceilings, pristine hardwood floors, wainscoting, crown moldings and a gas fireplace. Elegant dining room with custom bookcases. Chef's kitchen with top-of-the-line appliances, 5-burner gas range, double wall ovens and large breakfast bar. Serene master bedroom suite with bow window, custom en suite marble bathroom, double closets and home office. Second bedroom and adjacent marble bathroom. Private outdoor space. Nearby garage parking for rent or purchase. Listed by Boston Realty NET.com, Inc. I have a question about the property at 413 Commonwealth Avenue Boston MA 02215 (#71930147). I would like to schedule a visit for the property at 413 Commonwealth Avenue Boston MA 02215 (#71930147). Bright & Beautiful 2BR/2BA Corner Home includes ONE VALET PARKING Space at Millennium Place, Boston's Newest Full Service, Luxury Residential Building! Sunlight pours into this East Facing, Serene Garden Residence throughout the day. High end amenities include Cozy Gas FP, Floor to Ceiling Windows offering beautiful city views, Kitchen Granite Island, Ivory Oak HW Floors, Glass Tile Backsplash, Bosch Appliances, Wine Cooler, Marble Spa-like Master Bath with Double Vanity, Walk-in Closet in Master BR, California Closets, Lutron Shades throughout & In-Unit Laundry. Conveniently located Downtown, across from Ritz-Carlton/Equinox & easily accessible to the Financial District, Public Transportation & Major Highways. Residents will enjoy incomparable 5-STAR Service & Amenities, including 24HR Concierge, Dual Entry Doormen, Owner's Lounge with FP, Private Dining Room, Club Level Concierge, Gym, Yoga/Pilates/Massage Studios, Theater Screening Room, Children's Playroom & Monthly LaVie Events! I have a question about the property at 580 Washington Street Boston MA 02111 (#71917768). I would like to schedule a visit for the property at 580 Washington Street Boston MA 02111 (#71917768). 1st showings at OH Sunday 12-2:30. Newly painted and decorated. Built in 2012, this 3-4 BR, 3.5 bath free-standing condo looks and lives like a single family home! Located in the coveted Agassiz neighborhood, this lovely home has 35 windows, faces Southwest, lovely architectural details and a serene setting; set well back from the road and amidst foliage. The main living level features a bay-windowed corner living room with gas fireplace, hdwd, chefs kitchen with stainless steel appliances and gas cooking, adjacent dining/family room and powder room. The master bedroom features a spa-like bath en-suite, walk-in closet, step-out terrace and occupies the entire second floor. The third floor offers two bedrooms and a full skylit bath. The lower level features a fourth bedroom/office/den with bay window, full bath, W/D and direct access to a private garage. Private yard and patio. Close to Harvard & Porter Squares, public transportation and some of Cambridge's finest restaurants. I have a question about the property at 122 Oxford Cambridge MA 02138 (#72150909). I would like to schedule a visit for the property at 122 Oxford Cambridge MA 02138 (#72150909). Fabulous 3+ bedroom, 3.5 bath condominium home in the coveted Agassiz neighborhood. Renovated in 2012, this home offers all the right touches! Raised 1st floor entry: entry foyer, half-bath, coat closet, large corner living room with a wall of windows and gleaming wood floors. Granite and S/S cook's kitchen with breakfast counter, adjacent dining area and step-out access down to a private patio, perfect for al fresco dining. 2nd floor: Master bedroom with wood floors, walk-in closet and lovely bathroom en-suite with tub and shower. Washer/Dryer. 3rd floor: Two family bedrooms and full bath. Step out access to a private roof deck. Lower level: Den (potential 4th BR), full bath. Direct access to the private garage space and additional storage. Windows on three sides. C/A. W/D. Close to Harvard & Porter Squares, public transportation (T, Commuter Rail and buses) and some of Cambridges finest restaurants and shops. I have a question about the property at 58 Prentiss Cambridge MA 02138 (#72225755). I would like to schedule a visit for the property at 58 Prentiss Cambridge MA 02138 (#72225755). Classic 2nd Floor residence with direct elevator access on sunny side Marlborough Street. Beautifully renovated 2 bed/ 2 bath floor through unit with all the right touches. Paneled living room with fireplace, high ceilings, recessed lighting and bay window. Adjacent and open to the living room is the dining room with a coffered ceiling. Renovated in 2013, the kitchen features custom cabinets, Jenn-Air stainless steel appliances, Zephyr hood vented to the outside and Liegherr refrigerator. Granite counter tops with tile backsplash and breakfast counter. Kitchen pantry closet. Bay windowed Master bedroom with fireplace, built-ins, excellent storage and marble accented master bath en-suite. Spacious 2nd bedroom with adjacent bath. Hardwood floors. W/D. One oversized parking space behind the building with direct access included. I have a question about the property at 249 Marlborough Boston MA 02116 (#71812596). I would like to schedule a visit for the property at 249 Marlborough Boston MA 02116 (#71812596).